Food colour coding (traffic light system) will be introduced for solid food, especially biscuits, sweetmeats, etc will be introduced by the Health Ministry from June 01st, Health Ministry spokesman said. According to the spokesman earlier it was scheduled to implement the system from April 02nd but later it was postponed to June 01st due to the delay of translating the gazette notification into all languages by the Legal Draftsman's Department. The new system will be implemented in order to protect the Sri Lankan public from Non Communicable Diseases. If the sugar content is 22 grams per 100 grams of a specific food, the colour code will be red and if this quantity is between eight grams and 22 grams per 100 grams, the colour code will be amber. 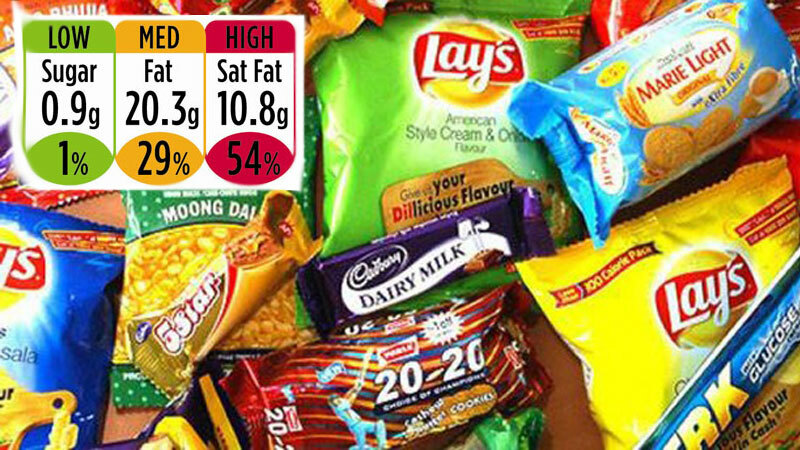 The sugar content in 100 grams of the specific food is less than eight grams it will be in Green colour. If the salt content in 100 grams of a specific food is 1.25 grams, the colour of the code will be red while if it is between 0.25 grams and 1.25 grams, the colour code will be Amber. The salt content is less than 0.25 grams, the colour code will be green, he said. The fat content of 100 grams of specific food is 17.5 grams, the colour code will be red and if this content is between three grams and 17.5 grams, the colour code will be amber. The green colour code will be given if the fat content is less than three grams, he said. The new traffic light system will not be applied for any primary agricultural product, spices, single ingredient products, food that recommended by a medical practitioner, bulk packs of retail products and infant milk formula, he added.